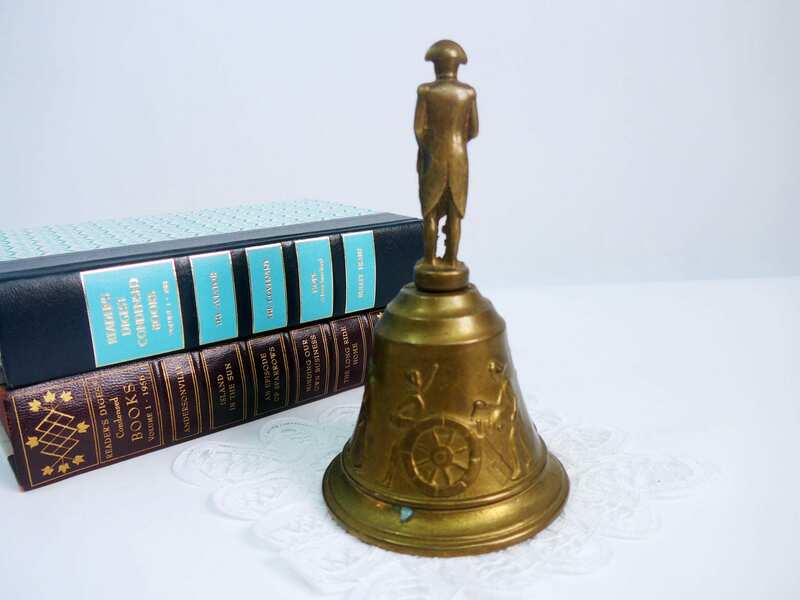 Vintage brass bell that features Napoleon on top as the handle in his famous pose with his hand inside his jacket and wearing a French officer's hat. 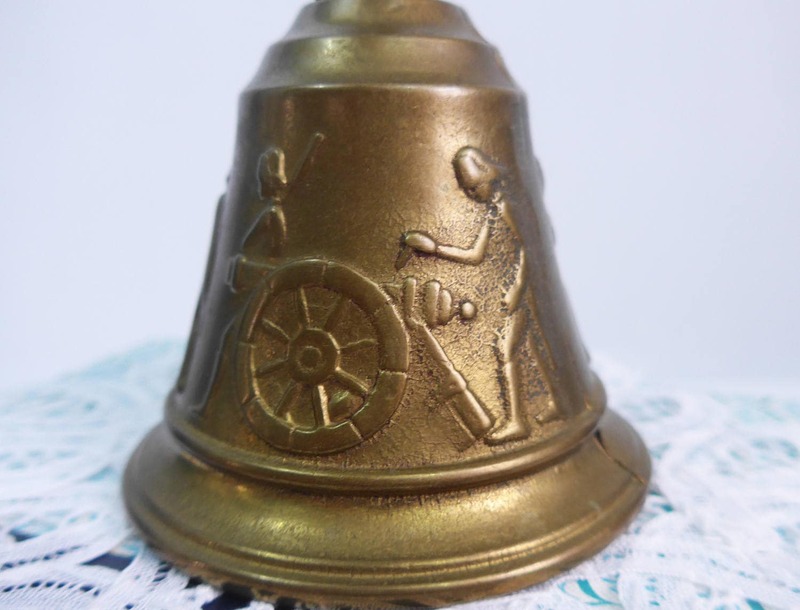 The bottom portion of the bell has soldiers with guns and cannons. 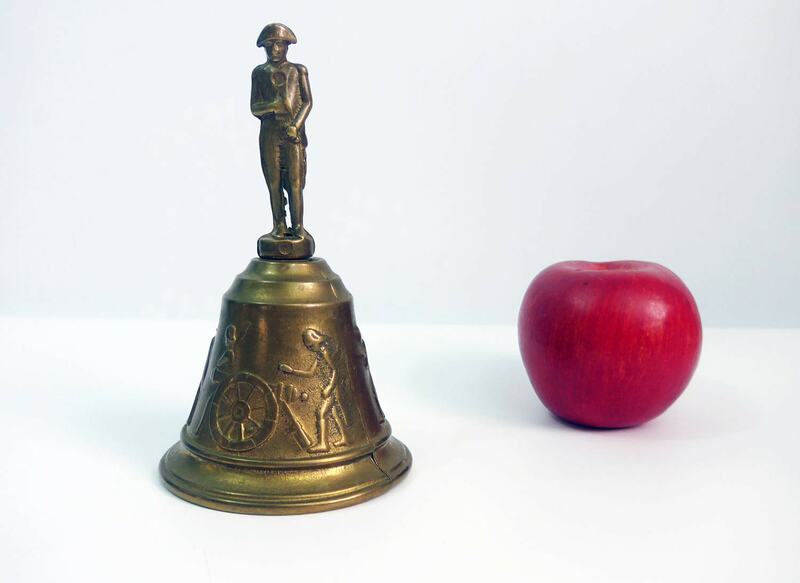 A heavy bell for its size as it is solid brass. 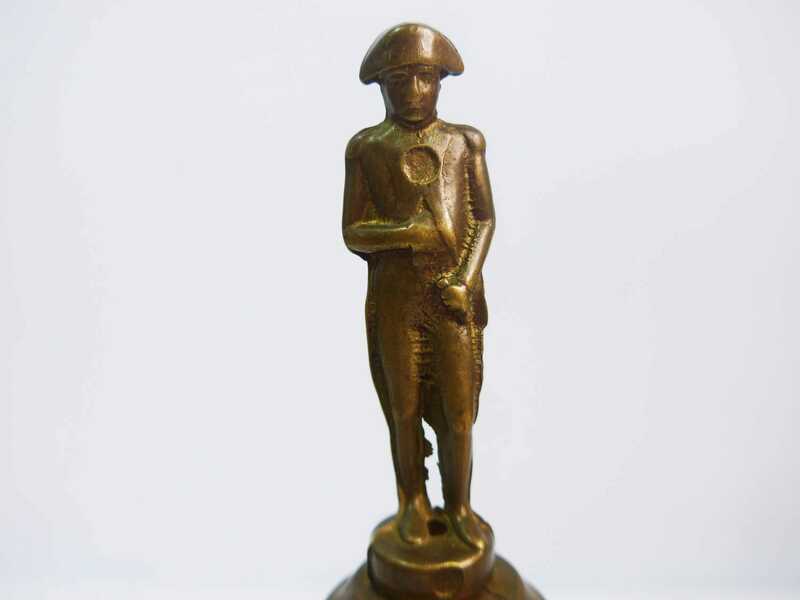 Measures 6 1/2" tall and the bottom has a 3 1/2" diameter. Bell makes a loud clear sound when rung. 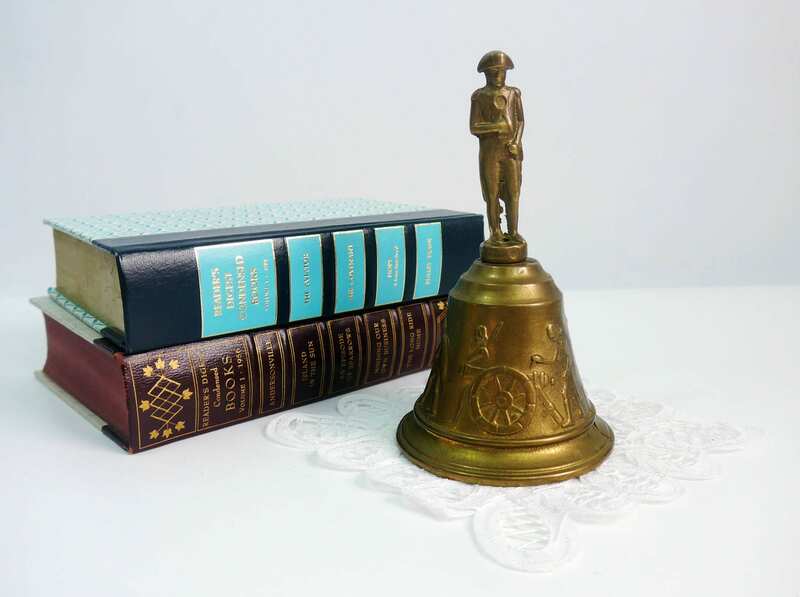 In very nice vintage condition with some patina here and there as would be expected a retro brass item.